The consultants at Kurt Salmon issued a press release this week that put a cap on the firm's protracted merger with Ineum Consulting, with which it shared a parent in the Management Consulting Group. Since it was first announced in May 2010, the merger has seen the pair slowly integrate into a 1,600 consultant-strong single entity, with a geographic footprint spanning the globe. Now in 2011, that process is complete, and there's evidence to prove it; Kurt Salmon Associates and Ineum Consulting are now one in name as well as in practice. 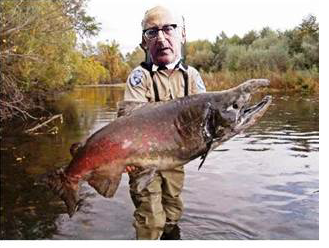 Behold: Kurt Salmon. The fully-integrated firm specializes in retail/consumer and financial services, the release said. With offices in 15 countries (across five continents, no less), the decision to merge largely came down to a need to go global. "In merging, we have recognized our need for larger global scale and investment capability to better serve our clients," said Mark Wietecha, the new brand's chairman. "The new Kurt Salmon combines Ineum’s geographic footprint and functional expertise with Kurt Salmon Associates’ domain expertise," added John Karonis, managing director for the US. "We now have a more powerful message to communicate to the US and global marketplace." Will this Salmon's newly acquired dimensions help push the firm further upstream, safe to feed amongst the world's top consultancies? Or will this Salmon be slain, seared in a pan, and served with scallion cream cheese in McKinsey's morning omelette? Only time will tell.